The new POLY-CASTER spreader line combines a low-maintenance rust-proof double-wall poly hopper with a smooth, quiet electric-drive system for the ultimate in de-icing performance. It effectively spreads all ice control materials including salt, sand, a salt/sand mix or even wet sand. And the POLY-CASTER spreader comes loaded with more standard features to enhance operator efficiency and convenience. Available in three sizes (1.5 cu. yd., 1.8 cu. yd., 2.5 cu. yd. ), there's a POLY-CASTER spreader ready to meet your ice control needs. Exclusive adjustable-height poly spinner/chute assemble accommodates both pickup truck and flatbed applications. It features a rust-proof high-performance 15 1/2" poly spinner. The unit stands on end, making removal from the truck easier and minimizing the space required for off-season storage. Proven pintle chain conveyor design delivers reliable, smooth, consistent material flow. The corrosion-resistant stainless steel conveyor housing provides added strength and rigidity. Variable-speed control uses multiplexing technology which provides self-diagnostics via LEDs, including hopper empty notification. Dual, independent electric conveyor motor and spinner motor provide independent control of the conveyor and spinner to precisely match material delivery and spread pattern to conditions. You get reliable, instant starts every time with no gas engine to maintain. The POLY-CASTER™ hopper spreader is designed with FLEET FLEX technology for easy interchangeability between electric hopper spreaders without having to change the wiring or the controls. 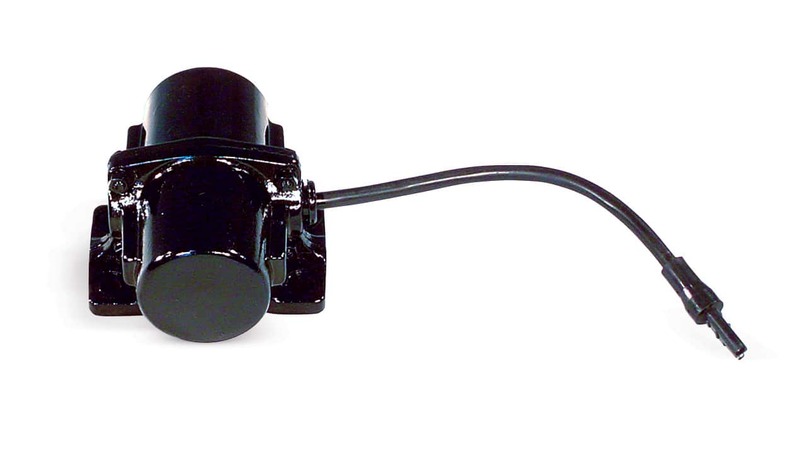 It provides easy operation, increased reliability, simple wiring and easy installation. Accessories automatically integrate into the control for easy plug 'n play. Enhanced dual variable-speed control allows you to precisely match material delivery and spread patterns to conditions. 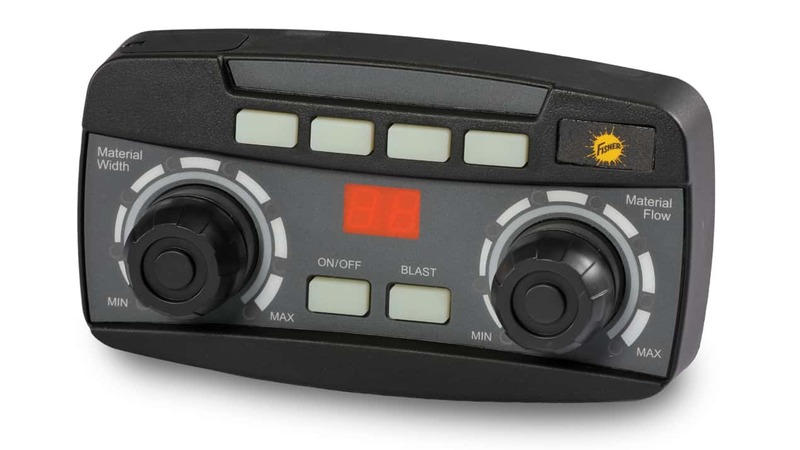 Four standard accessory buttons and a dedicated blast button provide optimum in-cab efficiency. 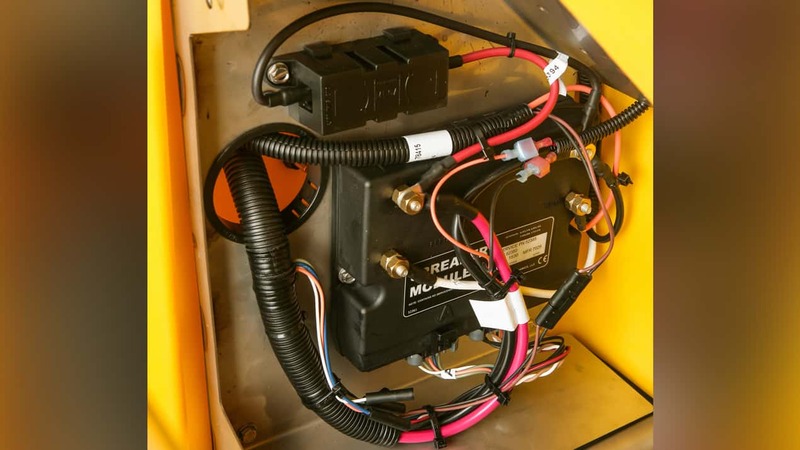 Easy-to-understand, digital self-diagnostics alert the operator when the spreader is empty or when adjustments are needed, and LEDs make the control easy to read. 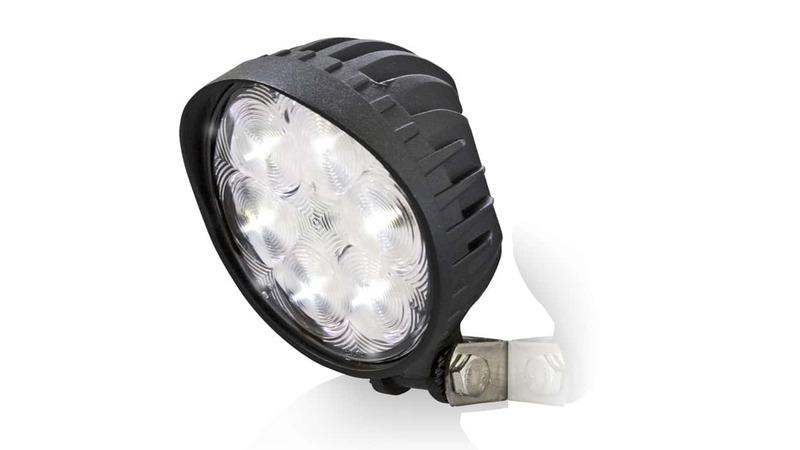 Make sure you're seen, day or night, with our complete hopper Strobe Light system. 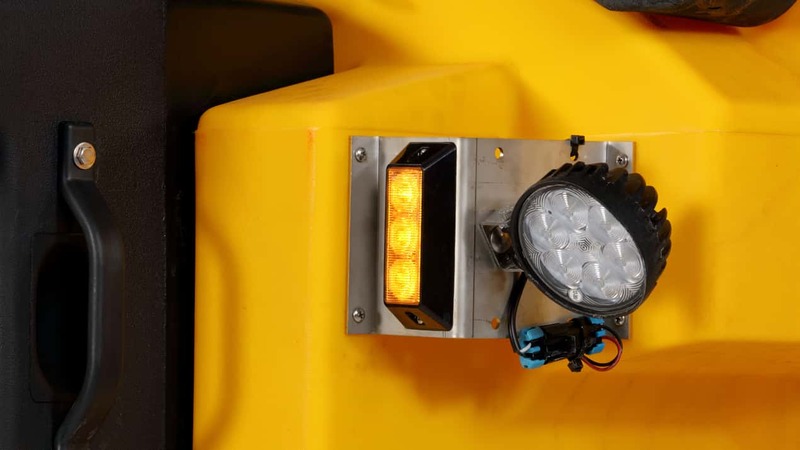 Constructed from high impact plastic, and rated beyond -20º F, this yellow LED strobe system has been designed to last and will ensure that you're seen in even the worst of conditions. All models have are constructed of polyethylene, have a Spreading Width of 2' - 40', Spinner Size of 15-12" poly, Conveyor Width of 16-3/4", and spread both sand & salt. Click the button below to add the Fisher Poly-Caster Spreader 8' 2.5 CU Yard-New Fleet Flex wiring to your wish list.